Here at Buswells Lodge we follow the KTC phonics programme. This programme breaks down the phonic sounds required to decode a word, sentence and text. These phonic sounds are put into 5 groups-Phase 1 (environmental sounds), Phase 2, Phase 3, Phase 4 and Phase 5. We encourage children to make, hear and find these sounds within words they see, read and write. Children are encouraged to use their knowledge of phonics when decoding and writing, new and unfamiliar words. Children at Buswells Lodge have weekly guided and shared reading sessions, following the structure outlined within the KTC programme. Each session is designed to suit the level of the child, they are matched with a quality text, given time to read sections and then asked a series of questions. These questions relate to their comprehension (understanding of the text) as well as the language features used within the text itself. At Buswells Lodge, all English lessons are planned in accordance with the objectives outlined in the National Curriculum for English, following the units of work created by the Hamilton Trust. Within each unit, children are immersed in the genre with a range of quality texts. The units provide written opportunities that build understanding and application of the features for each text type. Buswells Lodge is proud to be apart of not 1, or 2 BUT 3 different projects across the city! 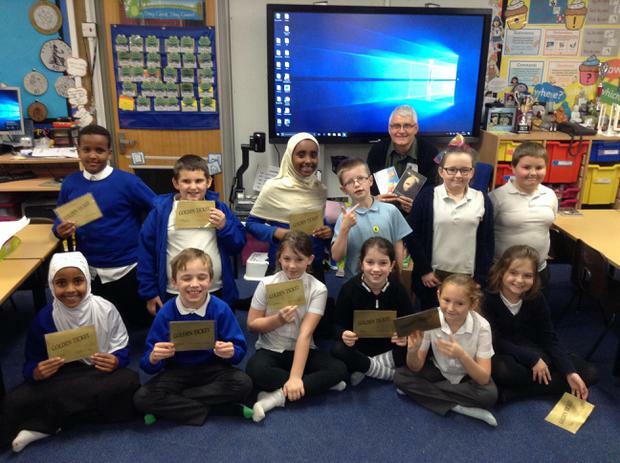 Years 4 and 5 are participating in the Leicester City Writing Project as part of cohort 3! Stay tuned for news regarding their writing journeys. 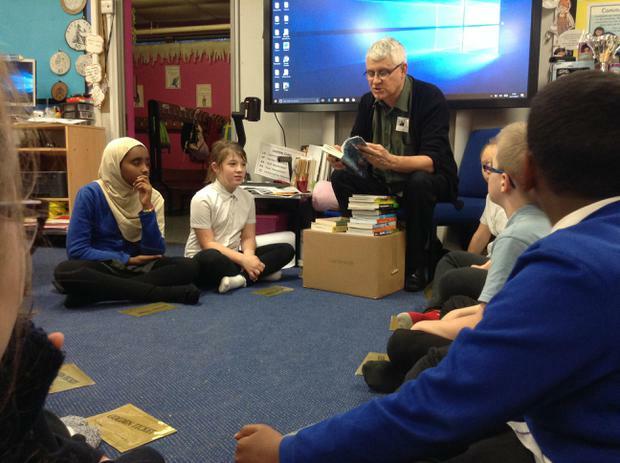 Mrs Lathwood-Birch and Miss Coleman are participating in the city wide reading project. They will be looking at the reading provision currently being delivered in our school (mainly in key stage 2) and developing strategies and implementing ideas shared by schools across our city. 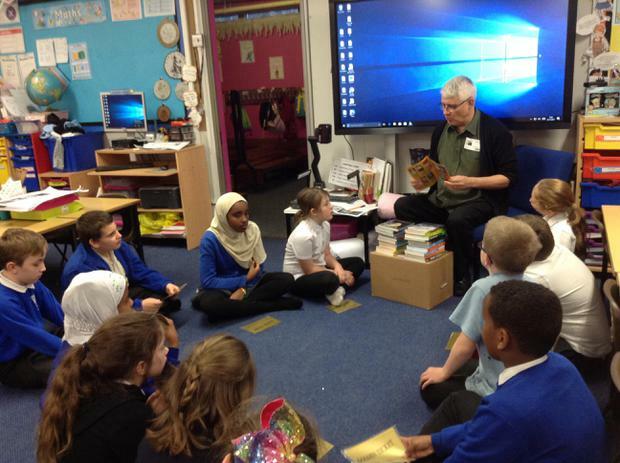 As part of the reading project Mrs Lathwood-Birch and Miss Coleman have created a Year 5 Book Club. Through WiT and Leicester Library Services, our Book Club will be taking part in 'Our Best Book 2017-18.' Stay tuned for further updates and posts from Book Club. Are you in Year 5? Do you like to read but do not always have the time? Or know which books to read? Why not join Book Club? Book Club meets every Tuesday after school until 4pm. Our aims are to develop our reading skills, broaden our reading horizons and create an environment where books and a love of reading come first. Pupils are encouraged to read as regularly at home as possible. Ideally every night for at least 15 minutes. Each child is given a blue homeschool book, in which their parents/guardians record any reading that has taken place at home. Regular reading is rewarded in a variety of ways depending on the year group and class they are in. When a child is heard read within school by an adult, this reading is also recorded in the homeschool book for parents/guardians to see. Here are some websites which help you to read with your child at home.